You are invited to attend the 2nd Annual Ailsa McKay Memorial Lecture being held on Thursday 11 May at 5pm in the Deeprose Lecture Theatre, Govan Mbeki Building, Glasgow Caledonian University. 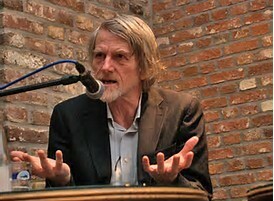 This year’s speaker is Philippe Van Parijs, Professor at the Faculty of Economic, Social and Political Sciences of the Universite Catholique de Louvain (UCL), where he directs the Hoover Chair of economic and social ethics since its creation in 1991. Professor Van Parijs’ lecture “Basic Income. A radical proposal for a free society and a sane economy”, is based on his latest book. He will focus on aspects particularly relevant to Ailsa’s work and in a Scottish context. The event will be opened by Maggie Chapman, Co-Convener of the Scottish Green Party, and will be followed by a drinks reception.